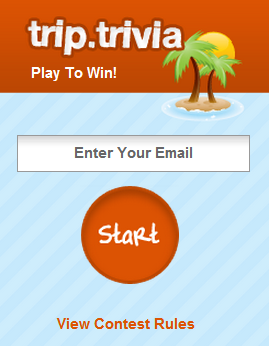 Punta Cana travel: known for its white sand beaches, azul water, and picturesque palms. Made popular by its famed Bavaro Beach strip, Punta Cana Dominican Republic is home to countless Punta Cana resorts and all-inclusive options. The area is one of the most popular in the Caribbean for Canadian sun-seekers, for its sheer number of resort options. Over 500,000 hotel rooms are available in Punta Cana. 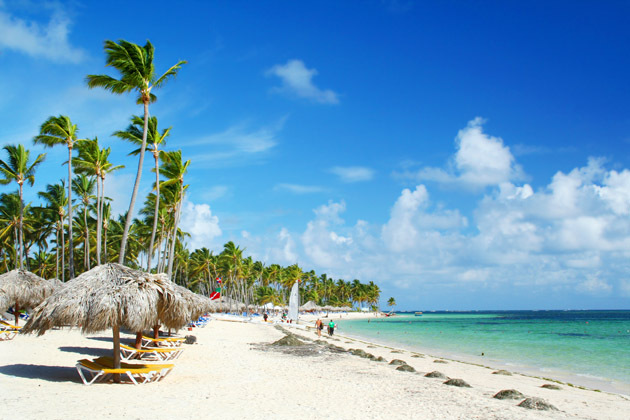 Bavaro Beach has characteristically warm and shallow waters, and a 35-mile stretch of developed, beautiful white sand. You’ll find plenty of family-friendly resorts, golfing options, and Punta Cana tours with a vacation here. This part of the Dominican Republic, the south-eastern tip, is busy year-round. Cheers to Punta Cana travel with a local Presidente beer and indulge in the relaxation of the Dominican Republic. From what things to do in Punta Cana to the top things to know when travelling to the Dominican Republic, get your bags ready to go. 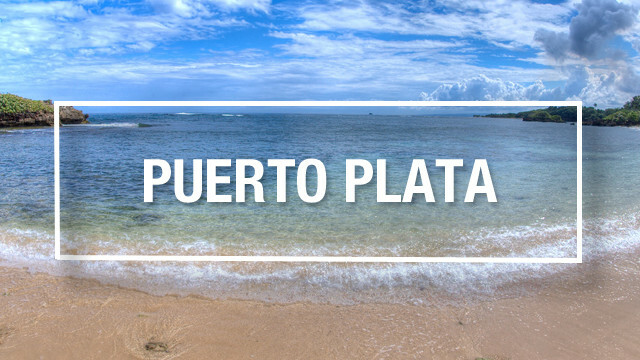 Punta Cana weather: when to visit? There’s no shortage of things to do in Punta Cana when it comes to activities on the resort, and Punta Cana excursions. Many visitors to the area do not see the need to leave their resort, as many hotels and resort complexes offer plenty of water and land activities and entertainment options. Punta Cana is known for their broad array of nature and outdoors activities, from ATVing to horseback riding and zipline or canopy tours. Punta Cana activities and excursions include plenty of options; from family friendly to honeymooners, golfers, and those looking for a more relaxing week on Bavaro Beach. Punta Cana is home to several large resort complexes, like the Grand Palladium Punta Cana Resort & Spa which also houses the Grand Palladium Bavaro Resort & Spa, Palladium Palace Resort Spa & Casino, and TRS Turquesa Hotel; or the IBEROSTAR Punta Cana, Iberostar Bavaro Suites, and Iberostar Grand Hotel Bavaro. While every resort offers an array of activities, the larger resort complexes have endless options. Many resorts offer scuba and snorkelling excursions, leaving right from the resort, many with free lessons in the pool to begin. Other popular things to do without leaving the resort include catamaran rides, deep sea fishing, and land activities like Zumba, dance, volleyball, Spanish lessons, and casinos or spas on the resort. Day trips in Punta Cana and Punta Cana excursions are plentiful: the area is known for its outdoor activities. This list of things to do outside the resort in Punta Cana can be booked ahead of time, or booked once at your resort with a destination representative or tour operator representative. 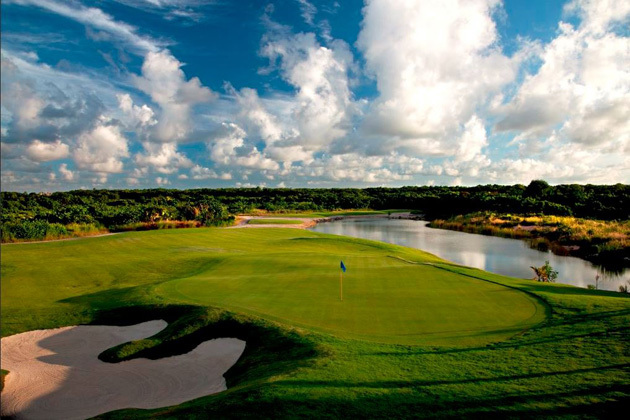 Punta Cana travel is known among golf enthusiasts, with 5 courses in the area. Golf packages are common excursions purchased by travellers in the area, which include pick-up from the hotel. Some golf courses give discounts to travellers staying at certain hotels, so don’t forget to ask what your resort can get you. Another popular thing to do in Punta Cana is deep sea fishing, with marlins being a popular catch in the area. Watersports are another popular option when it comes to Punta Cana excursions. Snorkelling tours are available, in addition to kitesurfing, parasailing, catamaran tours, flyboarding and scuba. Taking it to the water will give you a different view of Punta Cana: see the resorts from the sea, and experience what’s below the surface along Bavaro Beach and the stunning turquoise waters. 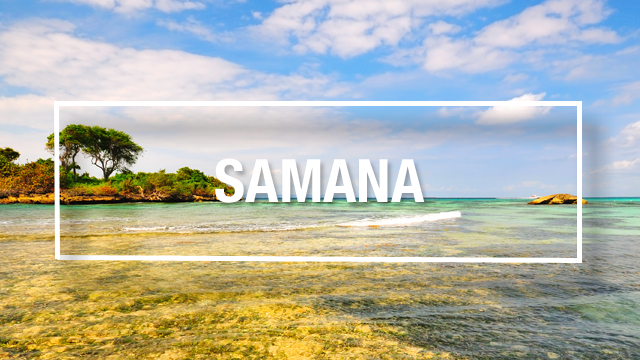 Tours like the catamaran tour to Saona Paradise Island will let you see a stunning, protected natural environment and the true beauty of the Dominican Republic off the resort. Scuba diving here is known for the wrecks, caves, and caverns, with visibility of 40 to 150feet. Zip over a canopy of trees in one of the many ziplining adventures available in Punta Cana, or opt for a full adventure day at Cap Cana. Choose from buggy adventures, zip lining, hike up the El Farallon Cliff and learn about the area’s wildlife and forests, or explore underground caves and tunnels. With plenty of eco tours ranging from jungle safaris and buggy rides to swimming in natural sinkholes, Punta Cana offers plenty for the traveller looking to get off the resort and enjoy the great outdoors. 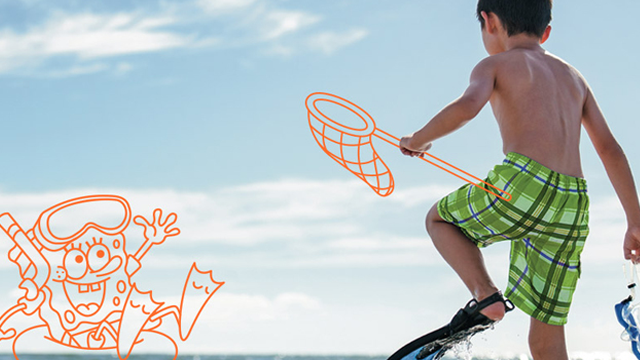 Other options for outdoor adventures include swimming with dolphins, horseback riding, nature theme parks, and surfing. Punta Cana offers much in the way of adventure with Scape Park and the Bavaro Adventure Park drawing travellers in with their eco-trails, markets, hiking, mountain biking, and more. Explore beyond the beaches of Punta Cana and truly understand the area on a cultural excursion: watch a cigar-rolling demo, visit a sugar plantation, or explore an ancient Taino cave and village of some of the first settlers in the area. Rum lovers won’t want to miss the rum distillery tour, which walks visitors through the process from sugarcane harvesting to bottling, complete with a sampling. Visiting Santo Domingo from Punta Cana is arguably one of the best historical excursions you can do, where you’ll see colonial architecture, famous monuments, and explore the Colonial Zone, a UNESCO World Heritage Site, all in the “New World’s” first Spanish settlement. For the most part, Punta Cana nightlife centers around the resorts and hotels that line the beach, many with large discos, casinos, and nightly shows and entertainment ranging from theatre to bands and dance. Some clubs and casinos on the all-inclusive resort properties are, however, open to “outsiders” or guests not staying on the property. Cover charges at discos vary, ranging from none to USD $10 or $20. Some resorts also offer nighttime excursions to local discos, where transportation is accommodated and a group will travel together for more fun once the sun goes down. Other popular nightclubs in the area include Una Mas, across the street from the Bavaro Princess Hotel & Casino, Imagine Nightclub (it’s in a cave! ), CocoBongo Club, and Highwave Cafe. Punta Cana is mainly the all-inclusive resort strip along Bavaro Beach and Uvero Alto: don’t expect to find a city center here to venture into for local dining and culture. There are a couple of restaurants in the market area, most serving fresh seafood. Other traditional “Dominican fare” includes fried plantain, flatbread from the yucca plant, and rice and beans. Resorts will, however, have plenty of fresh fruit available in addition to a wide range of cuisines at specialty resorts and buffets. The area is most popular during the winter months, but busy year-round. Temperatures hover around 30-degrees during the winter months, and 25-degrees in the summer. September tends to be the “rainy season” in this part of the Caribbean. Also of note, is that much of the Dominican shuts down the week leading up to Easter, for Holy Week, and many resorts are busy with locals enjoying their week off. The majority of Canadians who visit Punta Cana do so with all-inclusive vacations, which include round-trip airfare, accommodations, resort activities and most on-site attractions, and all food and drink. For travellers looking to enjoy the island’s golf courses, or to relax in the spa, plan to have some Dominican pesos (DOP) with you. Beyond excursions, day trips and the resorts, Punta Cana offers little to travellers. Travellers exploring the city may find a few restaurants, but most will opt to stay on the resort or resort-planned activities due to the lack of activities and sights in Punta Cana proper. Though many do not leave the resort, with the exception of organized Punta Cana travel excursions, the area is very safe. The area has a laid back, relaxing feel from the many that flock to its beaches and shores for a break and the island nature of the Dominican Republic. Punta Cana International Airport (PUJ) sees flights arrive from 26 countries, including several direct flights from Canadian gateways. 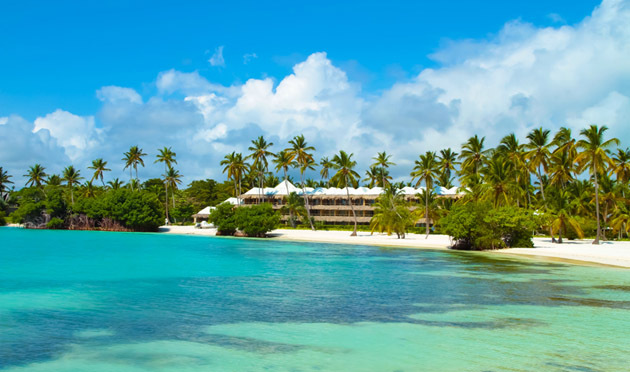 Approximately 30 minutes from Bavaro Beach, fly direct year-round from Toronto, while other Canadian gateways can access sunny Punta Cana on weekly, connecting, or seasonal flights. From Toronto, fly multiple days each week, or daily during the winter months, non-stop. For travellers from Ottawa, travel to Punta Cana during the winter months daily, and two times weekly the rest of the year; Hamilton sees flights December through April; Halifax flies daily during the winter, and once a week during the summer months. The highway between the airport and the resort area along Bavaro Beach is now a four-lane, divided highway making the travel time smoother and quicker. Cabs and taxis are available, but mainly used for travel between the airport and hotel if needed, as there are not many destinations in Punta Cana proper to visit. This is the best information I have seen on Punta Cana !! Secret Savings: Save on your next Grand Bahia Principe Coba vacation!